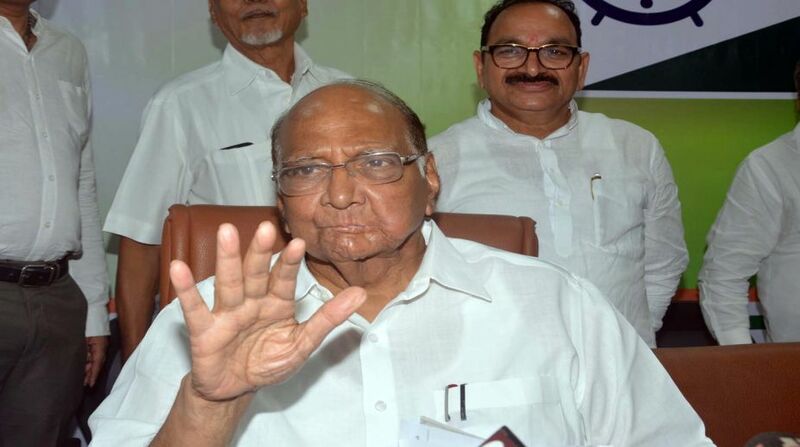 While NCP chief Sharad Pawar has alleged that right-wing forces are behind the violence that took place at Bhima-Koregaon, his party MP on Friday backed the two pro-Hindutva leaders accused of inciting the violence. Milind Ekbote of Samast Hindu Aghadi and Sambhaji Bhide, the founder of Shiv Pratishthan Hindustan, are in the spotlight for allegedly “orchestrating” the violence at the anniversary celebrations of the battle fought 200 years ago in Bhima-Koregaon. The NCP MP and descendant of Chhatrapati Shivaji Maharaj, Udayanraje Bhonsle, said Bhide had cried after being accused of instigating the violence, which led to protests by Dalits in Maharashtra, paralysing life in Mumbai and other places. “Milind Ekbote is my friend. I want to tell him to avoid speaking anything which may cause tensions,” Bhonsle told a Marathi TV channel in Delhi. “Bhide cried before me and said he had nothing to do with the violence. He told me he was going there to clean the samadhi (memorial) in Vadhu Budurk village near Bhima Koregaon),” he said. Many in western Maharashtra believe that Vadhu Budruk is where Sambhaji, the eldest son of Shivaji Maharaj, was cremated after being killed by the Mughals in 1689. The legend goes that Sambhaji’s body was mutilated and thrown into a river by Aurangzeb and it was Govind Gaikwad, a Dalit resident of Vadhu Budruk, who gathered the body parts together and made arrangements for the last rites. Sambhaji’s memorial was said to have been erected by the Mahars (Dalits) of that village. Consequently, Govind Gaikwad’s tomb was also erected in the village. Cases have been registered by the Pimpri police against Ekbote and Bhide for allegedly inciting the Bhima-Koregaon violence. The two organisations headed by them had opposed the celebration of “British victory” in the battle of Bhima- Koregaon. Pawar, this week, alleged that “outsiders” came and provoked the residents of Vadhu village. The NCP chief said there was no history of violence in last several years of the celebrations marking the anniversary of the battle. Clashes between Dalit groups and supporters of right-wing Hindu organisations during the 200th-anniversary celebrations of the Bhima-Koregaon battle in Pune district on January 1 had left a man dead. Dalit leaders commemorate the British victory, as it is believed that soldiers from the Mahar community – then considered untouchable – were part of the East India Company’s forces. The Peshwas were Brahmins, and the victory was seen by them as a symbol of assertiveness by the Dalits.